Deliberate destruction and theft of cultural heritage has been conducted by the Islamic State of Iraq and the Levant since 2014 in Iraq, Syria, and to a lesser extent in Libya. The destruction targets various places of worship under ISIL control and ancient historical artifacts. In Iraq, between the fall of Mosul in June 2014 and February 2015, ISIL has plundered and destroyed at least 28 historical religious buildings. The valuable items from some buildings were looted in order to smuggle and sell them to finance ISIL activities. ISIL uses a unit called the Kata'ib Taswiyya (settlement battalions), tasked with selecting targets for demolition. 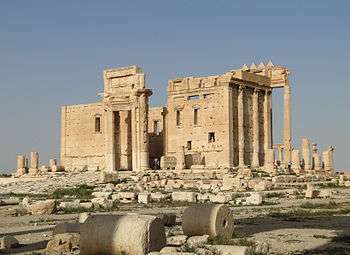 UNESCO Director-General Irina Bokova branded the ISIL activities in this respect as "a form of cultural cleansing" and launched the Unite4Heritage campaign to protect heritage sites threatened by extremists. Although Libya, Syria and Iraq ratified the Hague Convention for the Protection of Cultural Property in the Event of Armed Conflict in 1957, 1958 and 1967 respectively, it has not been effectively enforced. ISIL justifies the destruction of cultural heritage sites with its extreme following the Salafism which places great importance on establishing tawhid (monotheism), and eliminating shirk (polytheism). While it is often assumed that the group's actions are mindless acts of vandalism, there is an ideological underpinning to the destruction. ISIL views its actions in sites like Palmyra and Nimrud as being in accordance with Islamic tradition. Beyond the ideological aspects of the destruction, there are other, more practical, reasons behind ISIL's destruction of historic sites. Grabbing the world's attention is easily done through the destruction of such sites, particularly given the extensive media coverage and international condemnation that comes afterwards. Destroying historic ruins also allows ISIL to wipe the slate clean and to start afresh, leaving no traces of any previous culture or civilization and providing an ideal platform for the group to establish its own identity and leave its mark on history. Despite the images showing extreme destruction, ISIL has also been making use of the antiquities to finance their activities. Despite the UN's ban on the trade of artifacts looted from Syria since 2011, the group has been smuggling these artifacts out of the Middle East and on to the underground antique markets of Europe and North America. 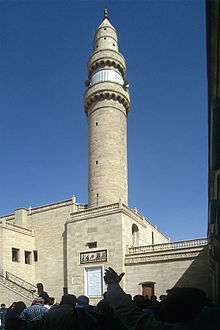 Prophet Jonah (Nabi Yunus) Mosque in Mosul, pictured in 1999. It was destroyed by ISIL in 2014. In 2014, media reported destruction of multiple, chiefly Shiite, mosques and shrines throughout Iraq by ISIL. Among them were Al-Qubba Husseiniya Mosque in Mosul, Jawad Husseiniya Mosque and Saad bin Aqeel Husseiniya Shrine in Tal Afar, Sunni Ahmed al-Rifai Shrine and tomb in Mahlabiya District and the so-called Tomb of the Girl (Qabr al-Bint) in Mosul. The Tomb of the Girl, reputed to honour a girl who died of a broken heart, was actually believed to be the tomb of medieval scholar Ali ibn al-Athir. In June 2014, ISIL bulldozed the shrine of Fathi al-Ka'en. On 24 September 2014, the Al-Arba'een Mosque in Tikrit, containing forty tombs from the Umar era, was blown up. On 26 February 2015 ISIL blew up the 12th century Khudr Mosque in central Mosul. In Mosul, ISIL also targeted several tombs with shrines built over them. In July 2014, ISIL destroyed one of the tombs of prophet Daniel (located in Mosul) by implanted explosives. On 24 July 2014, the tomb and mosque of the prophet Jonah was destroyed with explosives. On 27 July, ISIL destroyed the tomb of Prophet Jirjis (George). On 25 July 2014, the 13th-century shrine of Imam Awn al-Din in Mosul, one of the few structures to have survived the 13th-century Mongol invasion, was destroyed by ISIL. The destruction was mostly carried out with explosive devices, but in some cases bulldozers were used. In March 2015, ISIL reportedly bulldozed to the ground the Hamou al-Qadu Mosque in Mosul, dating back to 1880. In the same year ISIL ordered the removal of all decorative elements and frescoes from mosques in Mosul, even those containing Quranic verses that mention Allah. They were regarded by ISIL as "an erroneous form of creativity, contradicting the basics of sharia". At least one imam in Mosul opposing that order was shot to death. ISIL also destroyed Sufi shrines near Tripoli, Libya, in March 2015. The shrines were destroyed by sledgehammers and bulldozers. In June 2015, it was announced that ISIL had blown up the ancient tombs of Mohammed bin Ali and Nizar Abu Bahaaeddine, located close to the ruins of Palmyra. The Virgin Mary Church was destroyed with several improvised explosive devices in July 2014. Dair Mar Elia, the oldest monastery in Iraq, was demolished in late August or September 2014. The destruction went unreported until January 2016. 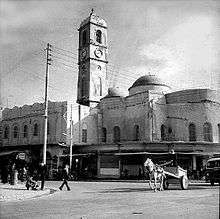 The Al-Tahera Church, which had been built in early 20th century, was possibly blown up in early February 2015. However, there is no evidence that the church was actually destroyed. St Markourkas Church, a 10th-century Chaldean Catholic church, was destroyed on 9 March 2015, according to the Iraqi government official Dureid Hikmat Tobia. A nearby cemetery was also bulldozed. Another church, which was reportedly "thousands of years" old, was blown up in July 2015. According to Kurdish sources, four children were inadvertently killed when the church was destroyed. The Sa'a Qadima Church, which was built in 1872, was blown up in April 2016. ISIL also blew up or demolished a number of other churches elsewhere in Iraq or in Syria. The Armenian Genocide Memorial Church in Deir ez-Zor, Syria was blown up by ISIL militants on 21 September 2014. On 24 September 2014 ISIL militants destroyed with improvised explosive devices the 7th-century Green Church (also known as St Ahoadamah Church) belonging to the Assyrian Church of the East in Tikrit. The Mar Behnam Monastery in Khidr Ilyas near Bakhdida, Iraq was destroyed by ISIL in March 2015. As of 5 April 2015, ISIL destroyed the Assyrian Christian Virgin Mary Church on Easter Sunday in the Syrian town of Tel Nasri. "As the 'joint forces' of Kurdish People's Protection Units and local Assyrian fighters attempted to enter the town", ISIL set off the explosives destroying what remained of the church. ISIL held the church since 7 March 2015. On 21 August 2015, the historic Monastery of St. Elian near Al-Qaryatayn in the Homs Governorate was destroyed by ISIL. In May 2014 ISIS members smashed a 3,000 year old Neo-Assyrian statue from Tel Ajaja. Later reports indicated that over 40% of the artifacts at Tel Ajaja (Saddikanni) were looted by ISIS. Parts of the Tal Afar Citadel were blown up by ISIL in December 2014, causing extensive damage. In January 2015, ISIL reportedly destroyed large parts of the Nineveh Wall in al-Tahrir neighborhood of Mosul. Further parts of the walls, including the Mashka and Adad Gate, were blown up in April 2016. In the Syrian city of Ar-Raqqah, ISIL publicly ordered the bulldozing of a colossal ancient Assyrian gateway lion sculpture from the 8th century BC. Another lion statue was also destroyed. 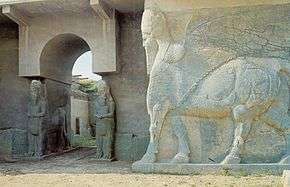 Both statues originated from the Arslan Tash archaeological site. The destruction was published in the ISIL magazine, Dabiq. Among the lost statues are those of Mulla Uthman al-Mawsili, of a woman carrying an urn, and of Abu Tammam. On 26 February 2015, ISIL released a video showing the destruction of various ancient artifacts in the Mosul Museum. The affected artefacts originate from the Assyrian era and from the ancient city of Hatra. The video in particular shows the defacement of a granite lamassu statue from the right side of the Nergal Gate by a jackhammer. The statue remained buried until 1941 when heavy rains eroded the soil around the gate and exposed two statues on both sides. Several other defaced items in the museum were claimed to be copies, but this was later rebutted by Iraq's Minister of Culture, Adel Sharshab who said: "Mosul Museum had many ancient artifacts, big and small. None of them were transported to the National Museum of Iraq in Baghdad. Thus, all artifacts destroyed in Mosul are original except for four pieces that were made of gypsum". On 5 March 2015, ISIL reportedly started the demolition of Nimrud, an Assyrian city from the 13th century BC. The local palace was bulldozed, while lamassu statues at the gates of the palace of Ashurnasirpal II were smashed. A video showing the destruction of Nimrud was released in April 2015. On 7 March 2015, Kurdish sources reported that ISIL had begun the bulldozing of Hatra, which has been under threat of demolition after ISIL had occupied the adjacent area. The next day ISIL sacked Dur-Sharrukin, according to the Kurdish official from Mosul Saeed Mamuzini. The Iraqi Tourism and Antiquities Ministry launched the related investigation on the same day. 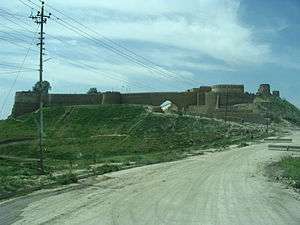 On 8 April 2015, the Iraqi Ministry of Tourism reported that ISIL destroyed the remnants of the 12th-century Bash Tapia Castle in Mosul. As of early July 2015, 20% of Iraq's 10,000 archaeological sites has been under ISIL control. In 2015 the face of the The Winged Bull of Nineveh was damaged. Following the capture of Palmyra in Syria, ISIL was reported as not intending to demolish the city's World Heritage Site (while still intending to destroy any statues deemed 'polytheistic'). On 27 May 2015, ISIL released a 87-second video showing parts of the apparently undamaged ancient colonnades, the Temple of Bel and the Roman theatre. On 27 June 2015, however, ISIL demolished the ancient Lion of Al-lāt statue in Palmyra. Several other statues from Palmyra reportedly confiscated from a smuggler were also destroyed by ISIL. On 23 August 2015, it was reported that ISIL had blown up the 1st-century Temple of Baalshamin. On 30 August 2015, ISIL demolished the Temple of Bel with explosives. Satellite imagery of the site taken shortly after showed almost nothing remained. According to the report issued on September 3, 2015 by ASOR Syrian Heritage initiative, ISIL also destroyed seven ancient tower tombs in Palmyra since the end of June over two phases. The last phase of destruction occurred between August 27 and September 2, 2015, including the destruction of the 2nd-century AD Tower of Elahbel, called "the most prominent example of Palmyra’s distinct funerary monuments". Earlier, the ancient tombs of Iamliku and Atenaten were also destroyed. The Monumental Arch was also blown up in October. When Palmyra was recaptured by Syrian government forces in March 2016, retreating ISIL fighters blew up parts of the 13th-century Palmyra Castle, causing extensive damage. 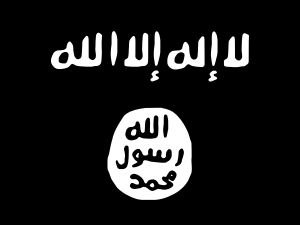 ISIL has burned or stolen collections of books and papers from various locations, including the Central Library of Mosul (which they rigged with explosives and burned down), the library at the University of Mosul, a Sunni Muslim library, a 265-year-old Latin Church and Monastery of the Dominican Fathers, and the Mosul Museum Library. Some destroyed or stolen works date back to 5000 BC and include "Iraq newspapers dating to the early 20th century, maps and books from the Ottoman Empire, and book collections contributed by about 100 of Mosul’s establishment families." The stated goal is to destroy all non-Islamic books. On 22 September 2014, the United States Secretary of State John Kerry announced that the Department of State had partnered with the American Schools of Orient Research Cultural Heritage Initiatives to "comprehensively document the condition of, and threats to, cultural heritage sites in Iraq and Syria to assess their future restoration, preservation, and protection needs". In 2014, the UNESCO's Committee for the Protection of Cultural Property in the Event of Armed Conflict condemned at the Ninth Meeting "repeated and deliberate attacks against cultural property... in particular in the Syrian Arab Republic and the Republic of Iraq". UNESCO Director-General Irina Bokova called the destructions in Mosul a violation of the United Nations Security Council Resolution 2199, and the destruction of Nimrud a war crime. Former Prime Minister of Iraq Nouri al-Maliki reported that the local parliamentary tourism and antiquities committee had "filed complaints with the UN to condemn all ISIL crimes and abuses, including those that affect ancient places of worship". On 28 May 2015, the United Nations General Assembly unanimously passed a resolution, initiated by Germany and Iraq and sponsored by 91 UN member states, stating that ISIL's destruction of cultural heritage may amount to a war crime and urging international measures to halt such acts, which it described as a "tactic of war". After the Palmyra temple's destruction in August 2015, the Institute for Digital Archaeology (IDA) announced plans to establish a digital record of historical sites and artifacts threatened by ISIL advance. To accomplish this goal, the IDA, in collaboration with UNESCO, will deploy 5,000 3D cameras to partners in the Middle East. The cameras will be used to capture 3D scans of local ruins and relics. 1 2 3 4 Khalid al-Taie (13 February 2015). "Iraq churches, mosques under ISIL attack". mawtani.al-shorfa.com. Archived from the original on 19 February 2015. 1 2 3 4 Denis MacEoin (27 December 2014). "The Destruction of the Middle East". Gatestone Institute. Retrieved 27 February 2015. ↑ "Convention for the Protection of Cultural Property in the Event of Armed Conflict with Regulations for the Execution of the Convention. The Hague". UNESCO. 14 May 1954. Retrieved 27 February 2015. ↑ "Don't Be Surprised by ISIS Destroying History". Tony Blair Faith Foundation. ↑ Martin Chulov. "How an arrest in Iraq revealed Isis's $2bn jihadist network". the Guardian. ↑ "U.N. Security Council ups pressure on Islamic State financing". Reuters UK. ↑ "Why Does ISIS Destroy Historic Sites?". Tony Blair Faith Foundation. 1 2 3 "ISIS Destroys Shiite Mosques And Shrines In Iraq, Dangerously Fracturing Country (PHOTOS)". The Huffington Post. 7 July 2014. Retrieved 27 February 2015. ↑ Praveen Swami (29 June 2014). "ISIS insurgents wage war on history". The Hindu. Retrieved 27 February 2015. ↑ "ISIL destroys two Shia religious sites in Iraqi city of Mosul". PressTV. 25 June 2014. Retrieved 28 February 2015. ↑ Abdelhak Mamoun (25 September 2014). "URGENT: ISIS destroys historical Al-Arbain mosque in Tikrit". Iraqi News. Retrieved 27 February 2015. 1 2 3 4 5 "Ancient artefacts destroyed in Iraq". News.com.au. 27 February 2014. Retrieved 28 February 2015. ↑ Hafiz, Yasmine (25 July 2014). "ISIS Destroys Jonah's Tomb In Mosul, Iraq, As Militant Violence Continues". The Huffington Post. Retrieved 28 July 2014. ↑ "ISIL destroys Mosque of Biblical Jonah, Prophet Yunus". IraqiNews.com. 24 July 2014. Retrieved 24 July 2014. ↑ "Islamic State destroys ancient Mosul mosque, the third in a week". theguardian.com. 27 July 2014. Retrieved 27 July 2014. ↑ "ISIL Destroys Another Mosque in Iraq". Sputnik. 8 March 2015. Retrieved 10 March 2015. 1 2 ""Исламское государство" заставило имамов Мосула удалять фрески со стен мечетей" (in Russian). Russian News Agency "TASS". 2 April 2015. Retrieved 22 May 2015. ↑ Thornhill, Ted (10 March 2015). "ISIS continues its desecration of the Middle East: Islamic State reduces Sufi shrines in Libya to rubble in latest act of mindless destruction". Daily Mail. Retrieved 12 March 2015. ↑ Hall, John (23 June 2015). "ISIS begin the destruction of Palmyra: Islamic extremists blow up two mausoleums in the ancient Syrian city... including one belonging to a descendant of the Prophet Mohammed". Daily Mail. Retrieved 24 June 2015. ↑ "ISIL orders destruction of all churches in Mosul". Iraqi News. 16 June 2014. Retrieved 28 February 2015. ↑ Abdelhak Mamoun (26 July 2014). "URGENT: ISIL destroys the Virgin Mary church in Mosul". Iraqi News. Retrieved 28 February 2015. ↑ Mendoza, Martha; Alleruzzo, Maya; Janssen, Bram (20 January 2016). "IS Destroys Religious Sites: The oldest Christian monastery in Iraq has been reduced to a field of rubble by IS's relentless destruction of ancient cultural sites". U.S. News & World Report. Associated Press. Archived from the original on 21 January 2016. ↑ "Iraq's oldest Christian monastery destroyed by Islamic State". BBC. 20 January 2016. Archived from the original on 20 January 2016. ↑ "There is no evidence that the al-Tahera Church (of the Immaculate/Virgin Mary) in Mosul has been destroyed (yet)". conflict antiquities. 29 July 2014. Archived from the original on 27 January 2016. ↑ "ISIL destroys historical church in Mosul". Worldbulletin News. 10 March 2015. Retrieved 10 March 2015. ↑ Gander, Kashmira (8 July 2015). "Isis 'kills four children' as it reportedly destroys ancient church in Iraqi city of Mosul". The Independent. Retrieved 12 July 2015. ↑ "ISIS extremists bomb historic church in Mosul". ARA News. 28 April 2016. Archived from the original on 1 May 2016. ↑ Hayrumyan, Naira (24 September 2014). "Middle East Terror: Memory of Armenian Genocide victims targeted by ISIS militants". ArmeniaNow. ↑ "IS said to destroy Armenian Genocide memorial". The Times of Israel. 22 September 2014. ↑ "ISIL Destroys VII-century Church, Historical Mosque in Iraq". Alahednews. 26 September 2014. Retrieved 27 February 2015. ↑ Mezzofiore, Gianluca (19 March 2015). "Isis 'blows up famed 4th-century Mar Behnam Catholic monastery' in Iraq". International Business Times. Retrieved 30 March 2016. ↑ Jones, Christopher (23 June 2015). "Another Treasure Lost in Iraq: The Story of Mar Behnam Monastery". Hyperallergic. Retrieved 24 October 2016. 1 2 "ISIS blew up a Syrian church on Easter". Now Lebanon via Business Insider. 6 April 2015. Retrieved 7 April 2015. ↑ "News from The Associated Press". Retrieved 21 August 2015. ↑ Nick Gutteridge. "Islamic State: ISIS digs up saint's bones after bulldozing Christian church in Syria". Express.co.uk. Retrieved 21 August 2015. ↑ "Extremist IS militants damage ancient citadel, two shrines in Iraq's Nineveh". Xinhua News Agency. 31 December 2014. Archived from the original on 13 January 2015. ↑ Jones, Christopher (15 February 2015). "ISIS destroys several more sites in Mosul and Tal Afar". Gates of Nineveh. Archived from the original on 5 March 2016. ↑ Abdelhak Mamoun (28 January 2015). "ISIS detonates large parts of Nineveh historical wall". Iraqi News. Retrieved 28 February 2015. ↑ Celeng, Sozbin; Yousef, Sarbaz (16 April 2016). "ISIS extremists destroy parts of Nineveh ancient wall northern Iraq". ARA News. Archived from the original on 21 April 2016. 1 2 "Threats to Cultural Heritage in Iraq and Syria". US Department of State. 23 September 2014. Retrieved 27 February 2015. ↑ "Lion statues destroyed". UNESCO. Retrieved 27 February 2015. ↑ John Burger (2 March 2015). "What's Been Lost to Radical Islamists' Sledgehammers". Newsmax Media. Retrieved 8 March 2015. ↑ "ISIL Destroyed Original Artifacts, Not Copies — Iraqi Culture Minister". Sputnik. 12 March 2015. Retrieved 13 March 2015. ↑ "ISIL fighters bulldoze ancient Assyrian palace in Iraq". Al Jazeera. 5 March 2015. Retrieved 6 March 2015. ↑ "'IS destruction of Nimrud' on video". TimesofMalta.com. 12 April 2015. Retrieved 12 April 2015. ↑ "Reports: ISIS bulldozed ancient Hatra city in Mosul". RiyadhVision. 7 March 2015. Retrieved 8 March 2015. ↑ Yacoub, Sameer N. (7 March 2015). "IS destroying another ancient archaeological site in Iraq". ArmyTimes. USA. Associated Press. Retrieved 7 March 2015. ↑ "Islamic state 'demolish' ancient Hatra site in Iraq". BBC. 7 March 2015. Retrieved 15 August 2015. 1 2 "Ancient site Khorsabad attacked by Islamic State: reports". Toronto Star. 8 March 2015. Retrieved 8 March 2015. ↑ "Боевики "Исламского государства" взорвали древний замок Баш Тапия в иракском Мосуле" (in Russian). Russian News Agency "TASS". 8 April 2015. Retrieved 22 May 2015. 1 2 "Islamic State militants 'destroy Palmyra statues'". BBC. 2 July 2015. Retrieved 3 July 2015. ↑ "Museum of Lost Objects: The Winged Bull of Nineveh - BBC News". BBC News. Retrieved 2016-03-01. 1 2 "Syria: Isis releases footage of Palmyra ruins intact and 'will not destroy them'". The Guardian. Retrieved 29 May 2015. ↑ Isis 'blows up temple dating back to 17AD' in Syrian city of Palmyra, TheGuardian.com; accessed 25 August 2015. ↑ "Palmyra's Temple of Bel 'destroyed'". BBC News. BBC. Retrieved 31 August 2015. 1 2 3 "In latest round of destruction, ISIL reduces three ancient tower tombs in Palmyra to rubble". National Post. September 4, 2015. Retrieved September 4, 2015. ↑ Shaheen, Kareem (5 October 2015). "Isis blows up Arch of Triumph in 2,000-year-old city of Palmyra". The Guardian. Retrieved 5 October 2015. ↑ Said, H.; Raslan, Rasha; Sabbagh, Hazem (26 March 2016). "Palmyra Castle partially damaged due to ISIS acts, plans to restore it to its former glory". Syrian Arab News Agency. Archived from the original on 27 March 2016. ↑ "Reinforce the immunity of our common heritage under threat". UNESCO. 21 December 2014. Retrieved 27 February 2015. ↑ "Nimrud: Outcry as IS bulldozers attack ancient Iraq site". BBC News. 6 March 2015. Retrieved 6 March 2015. ↑ Resolution 69/281, un.org; accessed 15 August 2015. ↑ Sean Higgins. "Oxford Deploying 5,000 Modified 3D Cameras to Fight ISIS". sparpointgroup.com. ↑ Sputnik (2 September 2015). "Protecting History: The Digital Project Preserving Artifacts From ISIL Ruin". sputniknews.com. ↑ "The digital race against IS". BBC Radio 4 "Today" programme. BBC. 28 August 2015. Retrieved 24 September 2015. ↑ Rosenfield, Karissa (1 September 2015). "Harvard and Oxford Take On ISIS with Digital Preservation Campaign". Arch Daily. Retrieved 24 September 2015. ↑ Mackay, Mairi (31 August 2015). "Indiana Jones with a 3-D camera? Hi-tech fight to save antiquities from ISIS". CNN. Retrieved 24 September 2015. ↑ Alanna Martinez. "Can 3-D Imaging Save Ancient Art from ISIS?". Observer. ↑ "Scientists to flood Middle East with 1,000s of 3D cameras to 'save' ancient sites from ISIS". RT English. ↑ Martin, Guy (31 August 2015). "How England's Institute Of Digital Archeology Will Preserve The Art Isis Wants to Destroy". Forbes. Retrieved 24 September 2015.